As I skim through my notes and study for another class exam this week, the colourful highlights suddenly allowed me to recall a statement made by my high school Psychology teacher—highlighting notes doesn’t help you to learn things at all. This is a statement I personally don’t want to admit with because I always highlight my notes. Now I have the chance to explore whether this is true or not by myself. An article suggested that although highlighting notes are common practices, it is actually a worse learning technique. The article explained the reason behind it as highlighting notes interferes with reading attention. It drives away people’s attention to the portion that is highlighted instead of the whole content. The article also suggested that it is better to interpret the whole content instead of jumping around with single phrases. To me, it sounds reasonable. I know I always read the highlighted part in my notes first, but sometimes those highlighted notes formed as fragment which doesn’t make any sense to me before I read the whole sentence. I actually wasted a lot of my time by just rereading notes over again. But is this statement actually the truth? 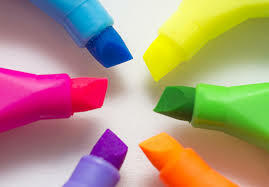 Is highlighting really less effective than we think it is? To answer this question, I found out a study called, “Reading Skill, Textbook Marking, and Course Performance”. A consent form were sent to the students, introduce the content of the study and make sure all participants agree before participated in the study. The study was done on 479 students in two Introductory Psychology courses about highlighting notes. The students were given a reading test and a study-habit survey to complete. Researchers also collected their text books, to see if they rented books that were previously highlighted by other students or a plain one. 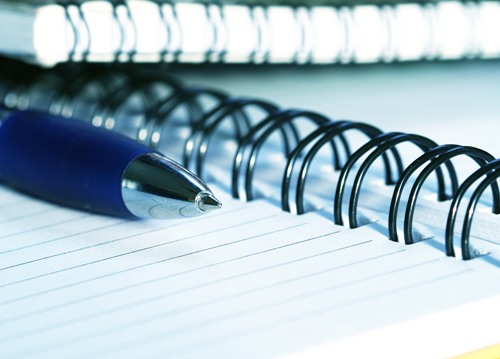 The findings showed that low skill readers tend to have more reliance on highlighting notes and highlighted more notes than high skill readers. Also, low skill readers have a higher tendency to read the marking that was done by a previous student on the rented text book. After I look through the study, I found out contained a p-value less than 0.01, which means that the correlation between the reading performances and the highlighting are strong enough to reject the null hypothesis, so it is less likely to be a fluke. However, there are also several limitation in this study. The population of the study were only limited to the Introductory Psychology class. Also, it failed to control the third variables. Reading skills can influence points not only through the amount of the highlighting, but also other elements as well. To make the statement much more reliable, I tend to seek more studies that are related to the discussion. I found out a study that conclude the opposite, and decide to compare those two studies to see which one is more reliable. The study involved a total of 184 students who participated in Psychology courses. The students were randomly distributed to either highlighting or non-highlighting groups and were given the same reading. A questioner were given after the reading. 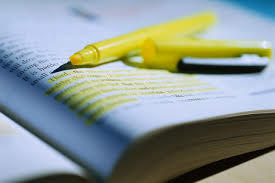 The study came up with the conclusion that highlighting notes can be beneficial under some conditions, especially when there are massive contents needed to be study in a short period of time. However, it was also mentioned that some students think it actually doesn’t have that much of a benefit. Another thing I need to mention about this study is that beside highlighting or not, the researchers also assigned them to mass condition group which they were ask to revise the text immediately after reading the first time, and spaced condition groups which they were asked to participate some activities before revising the second time. So there were two separate correlations addressing at the same time in this study. The conclusion of the effectiveness of highlighting among those two types of reading is that it has more benefit on the mass condition group than the spaced condition group. I think this means that highlighting notes would help people understand more things in a short period of time. This entry was posted in Uncategorized on October 20, 2016 by Xueyao Cao. Time really flies and now we are already half way through the semester. As I walked through my lecture classes, I found out that the amount of empty seats increased throughout the semester. There are even more than one-third of empty seats in my 8 am lecture. I know it is a common tendency, since most of the lecture classes are over 300 people and doesn’t take attendance that often. Also, the professor would post the slides on Canvas or Angle after class, so it would be much convenient for people who skipped classes to learn the content. However, personally I would never skip a class without any emergency or sever illness. I believe that attending to all classes would help me improve my academic performances, but sometimes I would still wonder if I might be wrong when I saw all those empty seats in class. Maybe the correlation between classes attendance and academic performance isn’t as strong as I suppose it would be? To answer my question, I decide to look into the topic. A study called “The relationship between lecture attendance and academic performance in an undergraduate psychology class” came up with the conclusion that students who attend their classes frequently are better in their academic performance than students who attend their classes with a limit number of times or never attend their classes at all. As it was mentioned in the title of the study, the study was based on the performances of students in a second-year cognitive psychology class. Registers were distributed randomly throughout the weeks, and nine registers were taken at the end of the semester over all 21 lecture slots. The data were categorised as four attendance group to simplify the calculation: never, seldom, frequently, always. Three academic assessments scores were compared between those four attendance groups. The finding showed that almost half of the students attended less than half the lecture. The “frequently” attended group had a higher score in general than the other groups. I read through the datas, and found out the p value was calculated in the study, shown a value less than 0.01. We talked about it in class that if the p value is less than 0.05, than the null hypothesis is rejected. So the datas in this study are significant enough to reject the null hypothesis, and also the result of this study is less likely to be caused by chance. The last study clearly stated that there is a strong correlation between the class attendance and the academic performances. However, new questions come into my mind. I wonder if there are any common reasons that influence the course attendance decision. To further investigate on the topic, I found out another study called, “Factors Influencing Pharmacy Students’ Attendance Decisions in Large Lectures”. A survey was designed in the study and asked the second-year pharmacy student to rate on various reasons that affect their attendance for three courses. The study suggested that the reasons of course attendance were different and complex. There wasn’t a specific trend in it. However, the common excuses of not attending courses were “sickness”,“study for other courses” and “availability of the course content”. The study also tried to find out if there were any patterns for a particular type of student to attend the classes more frequently. After a number of analysis, the concluded there wasn’t a significant correlation between the student characteristic and absenteeism. As it was shown above, the study failed to reject the null hypothesis, concluded that there wasn’t any correlation between the demographic of students and the course attendance. As we discussed in class, the result of the second study might be a correct decision or a false negative. We don’t know if the conclusion is true or false. Also, the study was designed as an observational study instead of experimental study, so the possible third variables wasn’t well controlled. This also produced the opportunity that the conclusion might due to chance. To make the results more convincing and accurate, it might needed a meta-analyses to continue on this area of study. After analysing the two studies, I’ll go with the statement that class attendance does affect academic performance, since the first study has a larger probability to be a correct decision. This entry was posted in Uncategorized on October 19, 2016 by Xueyao Cao. Headphones vs Earbuds, which one causes more hearing damages? Headphones and earbuds are essential equipments for people nowadays. It is not rare to see students walking to class with their earphones on. Personally, I don’t have any preferences to either of them, but I have heard about statements which suggest that both devices cause hearing damages. Above that, some even suggest that earbuds are more harmful than headphones when it comes to hearing problems. And believe it or not, this statement even made my parents bought me a new headphone in order to replace my earbuds. So I think it would be interesting to look into those statements. Does those devices really cause hearing problems? Which one produces more hearing damages? 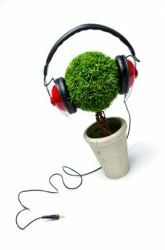 To understand whether headphones and earbuds damage our auditory system or not, I found out a source published by the Acoustical Society of America (ASA) . It concluded that nerve fibres are much more vulnerable than hair cells, an auditory system receptor also appears as an indicator sometimes for hearing lost, in the inner ear. According to Liberman, director of MEEI Eaton Peabody Laboratory at Harvard Medical School, people could lose 90% of their cochlear nerve fibres without any consciousness. This means that even though there aren’t any damages on the hair cells, people could still lose their hearings if the nerve fibres are damaged. 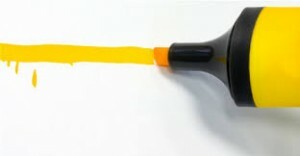 To me, it is possible that the direct transform of noise from the earphone devices to the cochlea could cause damages. An article from NBC News suggested that headphones are a better option than earbuds. 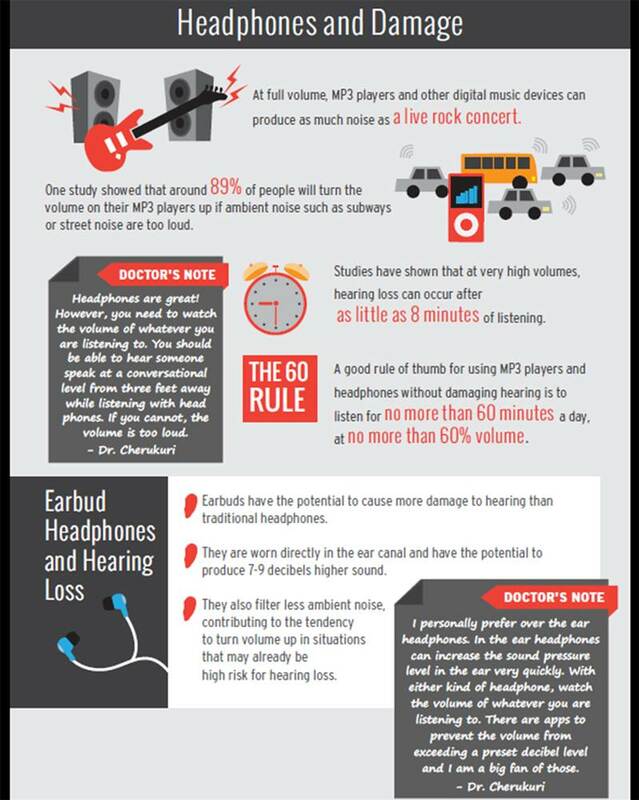 It stated the “60/60” rules, which means the volume of the MP3 or phone devices should be under 60% and a person should be listening to it less than 60 minutes per day. However, when it comes to public environments, most of the people have the tendency to volume up their devices in order to block the noises from the surrounding. In those cases, headphones would be a better option than earbuds, because it covers up the ears to prevent outside noise. 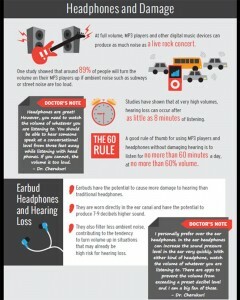 The article also included an infographic which listed out the reasons why earbuds cause more harm to ears. 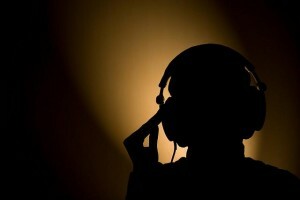 It is certain that exposed to loud musics for a long period could damage hearing. But, headphones and earbuds, which one causes more hearing damages? I think it’s impossible to tell without seeing more statistics. Although there are tons of articles that are posted to explain how headphones are superior than earbuds and listed out possible mechanism behind it, there are still lack of research and experiments created on this area of study. The reason of that might be related to ethnical consideration by setting up experiments on this topic. If we think about it, signing up a randomized control trial by randomly dedicated people to groups which only use their headphones, or earbuds or banned them from using anything at all really isn’t possible. I think this is similar to the smoking cause cancer or the soda drink studies we’ve talked about in class. It’s impossible to force the smokers stop smoking or banned the kids from drinking sodas. The only thing we could do in these situations is controlled the strength of variables to see what it does to the correlation, such as comparing groups that drink diet coke with groups that drink coke. So, as the amount of studies on of headphones and earbuds increases in the future. We’ll get a better chance to tell the true result of it. This entry was posted in Uncategorized on October 18, 2016 by Xueyao Cao. Does the change in temperature affect school performance? There was a sudden drop in temperature during the past several weeks. The decreasing level of temperature and the increasing amount of exam made me recall a statement I used to heard about long time ago: Temperature affect study performances. 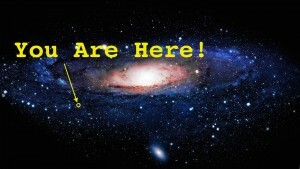 It might be a weird correlation if we think about it at first, but what if that it is real? Maybe the coldness does affect our exam scores. I think it is an interesting topic to explore. In one study that related to the topic, a test was given to the ninth graders who were separated in six different classrooms. The room was either heated up by hot plates around it, or cool down by sinks of ice. Researches compared the test scores of those students who did their test under different temperatures, in order to come up to a conclusion. However, the results of the first trial wasn’t significant. After some discussions upon the possible errors, a second trial was produced by increasing the temperature difference in the room. 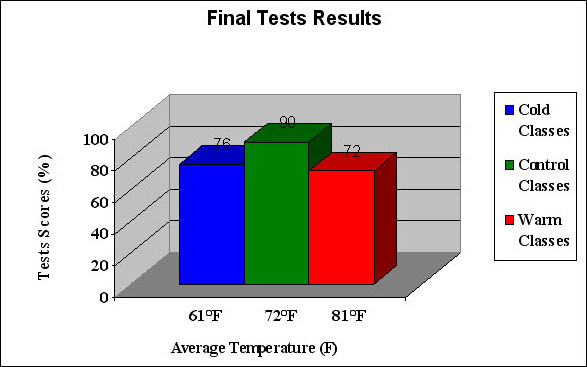 The results of the second trial showed that temperature do affect academic performance, but it wasn’t strong enough to show how strong the correlation was between the two variables. This graph is the initial data collection from the first trial in the study. The temperature difference was only around 2℉, which didn’t make a great difference. To me, the changes of the scores in this trial weren’t distinctive enough to drive to the conclusion, therefore the differences might be due to change, causes either a false negative or a correct decision. To make sure the results really works. The second trial was set up with some adjustments of the temperature. This is the result of the second trial, greater differences in temperature (about 10 ℉) were applied this time. 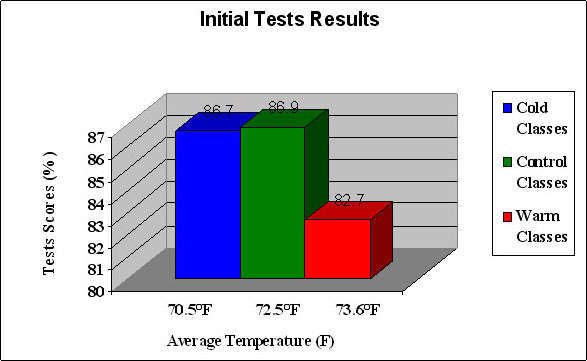 From the test scores shown in the graph, we could say that both cold and warm temperature do bad to scores. However, the conclusion was only based on one trial of the study. Although the second trial produced a much distinctive trend to support the correlation between temperature and study performances, I don’t think the datas are strong enough. More studies are required to support the correlation. Another study was based on a single blind crossover experiment on two classes of 10-12-years old students. The temperature was manipulated for a week while two numeral tasks and two language tasks were given during the period to the students. The study concluded that the performance generally improved when the temperature reduced to 68℉ and the outdoor air supply rate increased to 9.6L/s. 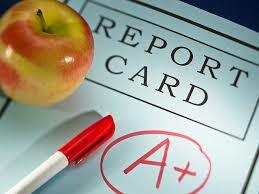 This means that students performed better in a neutral environmental condition. The age groups of the participants in both studies are too specific. Most of them are middle school students. Maybe college students would perform differently? So I think there should be more studies on other age groups. The population is too limited. The datas are too small to represent the population in general. Maybe students from tropical areas would perform differently. I think more studies need to be done with students in other areas and countries. In general, I think those two studies are a good starting point. Meta-analyses are required as a further discussion on this correlation. Since, it isn’t a hard experimental designed study, more studies could be done based on this topic, therefore, generates a further discussion on this correlation. This entry was posted in Uncategorized on October 15, 2016 by Xueyao Cao. Climate change now become a popular topic among those few years. As the demand of resources increased rapidly, people started to pay more attention to the environment. We all know emission of greenhouse gas, such as carbon dioxide and methane, is the main reason that causes climate change. According to EPA (Untied States Environmental Protection Agency), more than 30 billion tons of carbon dioxide (CO2) are produced by human activities each year. Since pre-industrial time, the concentration of carbon dioxide has increased over 40%. People might think that the amount of carbon dioxide emission annually doesn’t have any relation to their daily life, but it really does a lot to our surroundings. 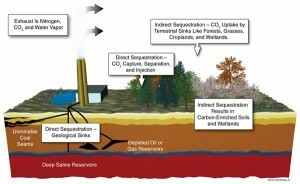 The first time I heard about the terms “carbon sequestration” was during my Chemistry class in high school. Although the conversation of it didn’t last any further, the concept imprinted to my mind. I think it might be a doable solution to climate changes, so I would like to do some further research on this topic. Since we have so many carbon dioxide in the atmosphere, why can’t we recycle them? I don’t know how many people used to have that idea before, but this is exactly what carbon sequestration all about. Wikipedia explained the term as capturing atmospheric carbon dioxide for long-term storage. This process could reduce a significant amount of carbon dioxide, which could slow down the accumulation of waste gases produced by the fossil fuel combustion. An article in the PCO2R (Plains CO2 Reduction) Partnership website introduced two types of carbon sequestration: terrestrial (also known as biologic) and geologic. 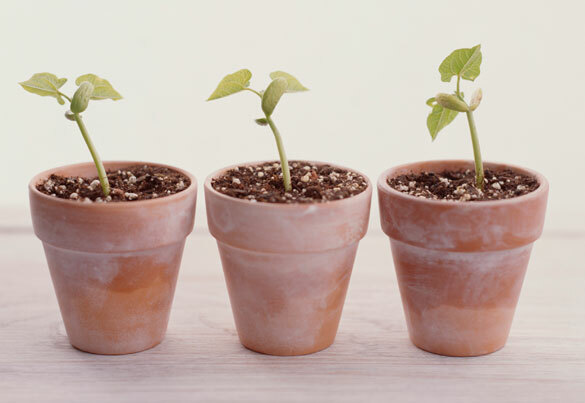 Terrestrial sequestration is a process to capture carbon dioxide through photosynthesis of plants, and transfer the carbon element into roots and stems; keep them in the soil for a long term when the plants dead. However, the disadvantage of terrestrial sequestration is that it only stored the carbon portion of the carbon dioxide gas, this means that if the carbon once had the chance to escape from the soil, it would contact with the oxygen in atmosphere and formed out carbon dioxide again. Geologic sequestration would be a totally different story from terrestrial sequestration. It captures the carbon dioxide gas produced by human activities before it releases, and then transport it into a long term storage deeply underground. A video stated that the carbon dioxide are normally transferred through pipes and injected 4500 meters underground in a typical geologic zone. However, like any other types of new forming technology, there are still certain problems need to be overcome in carbon sequestration: the cost of the process, the storage capacity of carbon dioxide and the energy penalty. People need to balance the pros and cons to see if it’s worth it for the process. 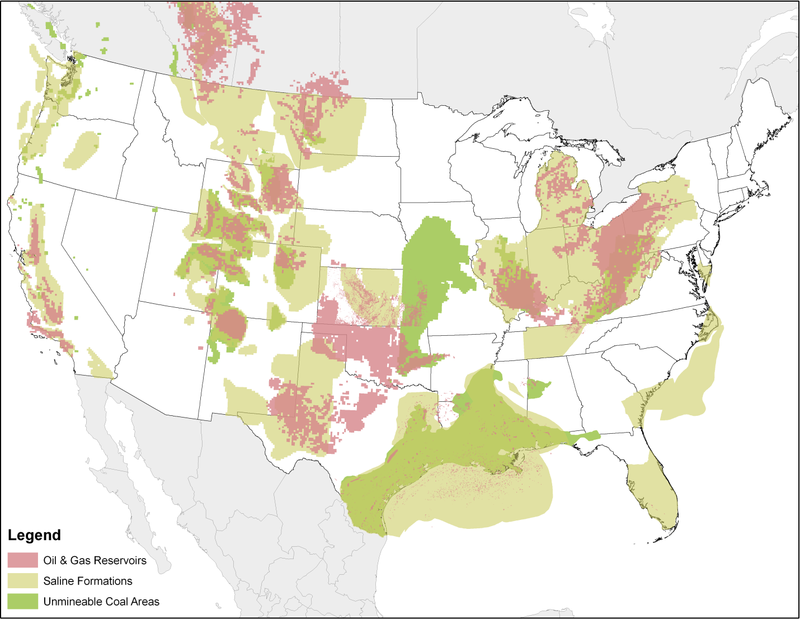 An article from EPA summarised the possible geologic formations for storage as depleted oil or gas fields, deep coal seams and saline formations. Those areas with certain characterisation could prevent the escaping of carbon dioxide. The map below shows the potential sites for sequestration. 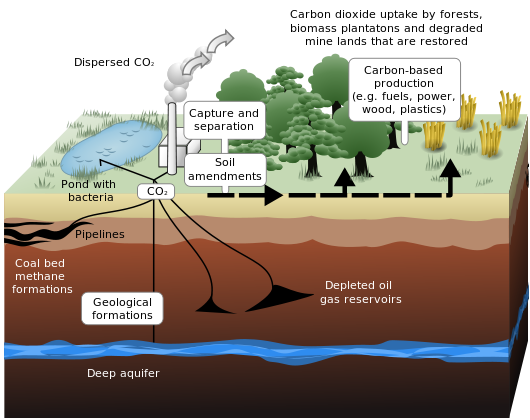 To me, I think carbon sequestration might be a doable solution to limit the amount of atmospheric carbon dioxide produced by human activities. Climate change is a big issue that couldn’t be reverse with a single move. Carbon sequestration couldn’t eliminate the hazard of greenhouse gas, but it does good to our environment. This entry was posted in Uncategorized on September 11, 2016 by Xueyao Cao. 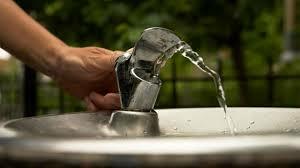 Drinking fountains (also known as water fountains) are a common resources for water drinking on campus. Most drinking fountains located close to the lecture rooms, which are much convenient for students to use them. I personally brought my own water bottle or mineral water with me to classes, but there would always be times I totally forget about it. During those moments, the only water resources I could drink from is the drinking fountains (and they are everywhere in the building!). However, I sometimes would think about if it’s really sanitary to use a public drinking fountain, since it has already been used by so many people before I did. Maybe I’ve been worried too much, but I decided it might be a good idea to do my blog research on this topic. 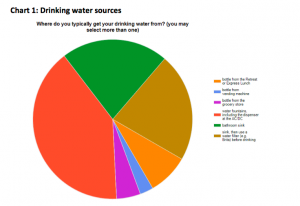 A drinking water survey report written by senior students from Vassar College listed that, most students on campus drink water from the water fountains (69.1%) instead of buying bottle water (27.3%). This shows that the drinking fountain is a popular resources compared to the others. However, when the survey asked about “sources of concern with regard to fountain water” the responses that contain the most percentage is “metals”, which is an interesting thing to discuss about. There are different causes that make the water from a drinking fountains not safe, the metal contamination from an old pipe would be one of those. An article said that some of the high schools have old pipes, so the metal might flake into the water causing a contamination. Marc Edwards, a civil engineer at Virginia Tech explain that although people know there might be the possibility of lead contamination, most schools don’t even test their pipes because it is expensive for the remediation. The article also said that the cost shouldn’t be an excuse, because there are always cheaper solutions that can solve the problem, such as putting filters on the drinking fountains. I’m sure you started to think about which type of water supplies would be safer for us to drink. The article I mentioned above suggests that it would be better to fill out water bottles with filtered water on your own, but I think it would be an exaggeration to avoid drinking fountains completely. First of all, all those research paper written about water from drinking fountains would cause illness are related to kids or elementary school students. As a college student, I think we already have the immunisation towards those diseases. Also, some article conclude that bottle water aren’t as purify as we thought as well! As Andrew mentioned in class before, sometimes we need to know all the cause and benefits, not just focusing on one point. So if we view this issue in a broader perception, drinking from a drinking fountain or from bottle water doesn’t make any differences at all. Just take care of yourself, and choose the one you like. This entry was posted in Uncategorized on September 5, 2016 by Xueyao Cao. Does the usage of microwave affect our health? As a freshman, everything in college is new to me. There are so many things to discover and so many things going on at the same time. The most thing I worried about before I came here was the condition of my dorm. So once I found out there is microwave oven in the dorm room, I was more than happy to use it as a resource for heating up my breakfast in the morning instead of going all the way to the dining hall. But after a couple of days, I started to concern about something else. We all have heard of the legend some times during our life that standing too close to a microwave would cause cancer by absorbing the second-hand radiation. That really threatened me when I was a child. Now I have one right in my room, it levels up the anxiety sometimes. Are microwaves really a health hazard? In order to explore this topic, I decided to view this issue in two different angles: microwaves affect on food and affect on our body. Before we went any depth into the discussion, it is better for us to understand what are microwaves first. 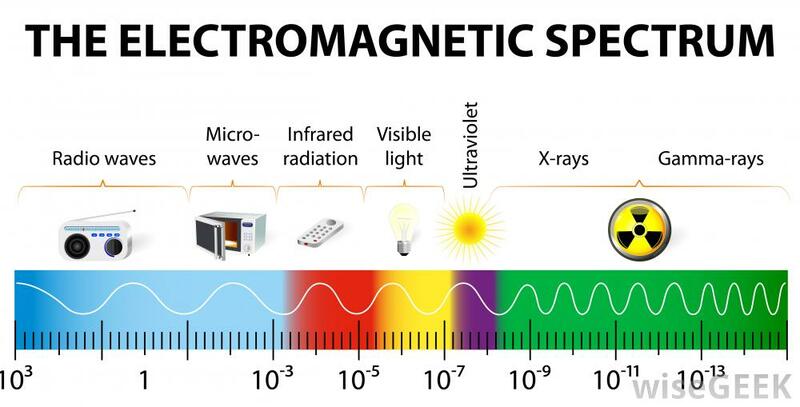 The definition of Microwaves in Wikipedia basically summarised as it is a type of electromagnetic radiation which is similar to other types of waves on the electromagnetic spectrum, such as radio waves. 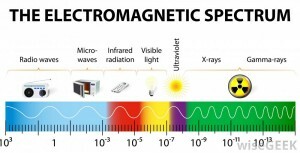 The ranges and wavelengths of a microwave are shown by the image below. From what I’ve learnt on a website, normally microwave oven works differently from a conventional oven. It allows the atoms of the food to vibrate much more frequently. In this way, it would heat up the molecules of the food through vibration so that the food is cooking evenly throughout instead of just the surface. This means that microwaves have the power to break down molecular and chemical bondings and rearrange them in the food. In this case, the body would digest the cells of the food differently, due to the chemical changes in the food cause by microwave. Because of this, people may concern about microwaves would be harmful to our food. 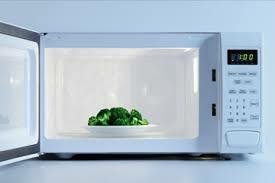 Articles such as Do Microwave Ovens Pose Health Risks said that microwaved food would lose nutrition. A study published in The Journal of Agricultural and Food Chemistry (2007) found that broccoli loses vitamin C when microwaved. However, vitamin C is volatile in heat, in this case this study couldn’t really prove that microwaved food really loss its nutrition, but in other cases, microwaved food contains lack of water which changes it taste. There are als o worries about microwaved food would be radioactive, therefore do bad to our body. One article shows that food exposed to microwave radiation dose not transfer to human bodies. The article also concludes that any radiation that emitted from the microwaves contain much less strength that what you might thought it would be. So it won’t cause any harm to human. The article also gave out an interesting statement that the rays could kill bacterias from the food, which makes it safer to eat. Besides of the potential damage to food caused by microwaves. There are many people also worry about the radiation emitted from the microwave would harm our body. After I read through a large number of different studies and websites, I would conclude that although microwaves do emit radiation, but it isn’t the that harmful to us. In other words, those radiations aren’t DNA-damaging. Peter Varberg’s study (1970) looked at the correlation between cancer and microwave radiation exposure. He found very little evidence to support the causal relationship between this two elements, therefore concluded that microwaves do not cause cancer. This also means that the amount of radiation created by microwave is below the threshold of harming human. To fulfil my curiosity, I did the research on two different angles, and now I have my answers. Microwave do not produce bad consequence to foods. Although it might changes its original taste, it’s already a nice option for people living in dorms like me to heat up their breakfast in a simple way. It won’t radioactive the food as well. Second, the amount of radiation produced by microwave isn’t strong enough to damage your DNA and your body. So if you be careful and follow the instructions when you are using the microwave oven, you’ll be fine. This entry was posted in Uncategorized on September 4, 2016 by Xueyao Cao. It is just awesome to see new posts popping up one after another every time I refresh this page. There are so many thoughts and ideas that started developing in my head after I read those blogs and I’m sure we will have a remarkable time together in SC200. So now, hello to class SC200. My name is Cindy (despite of what you might see under this post, please pronounce it as Cindy ). I’m in college of Arts and Architecture, majoring in IDS right now but I’m also involving in Psychology. Maybe I will do a double major later on. So yes, I am an art student, but that doesn’t mean I hate science or doesn’t know any science course at all. I took Chemistry and Physic throughout my high school education. I actually enjoy the labs and group assignments during those years. The only thing I don’t like about is calculation and math, and that’s why now I’m with you guys instead of solving some really complicated science problems. To be honest, SC200 reminds me about one of the science course I had back in high school, which is the reason I choose this course. It was designed for non-science student as well. I get to learn some really cool things that I’m interested in. 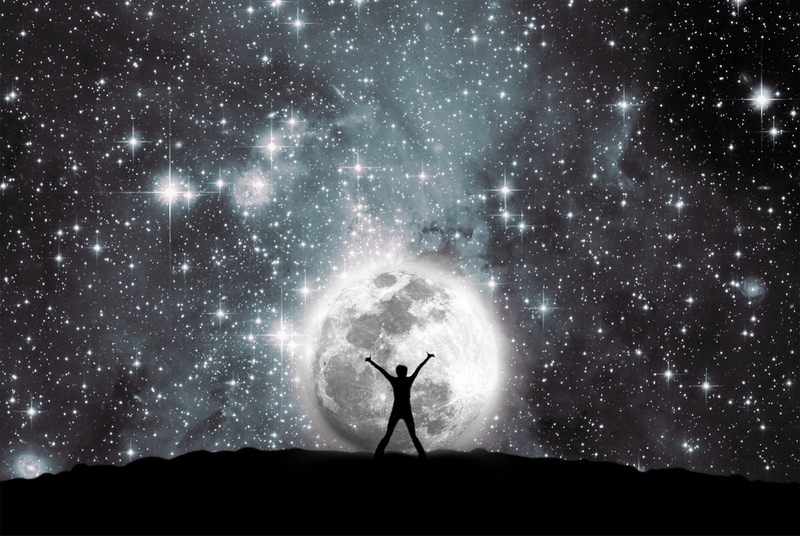 We get to explore and discuss about the universe, which is something grand but extraordinary to think about. I’m glad that we had some discussion during our last class on this topic, this‘s just something really makes me hyper. Another thing I want to share with you guys is the video series of Into the Universe with Stephen Hawking. I used to watch this video in my secondary school science classes. What I really like about this is that it concludes some scientific facts and researches with common language and explain it through models. It is easy for everyone to understand and appreciate. It also include some of the content from A Brief History of Time, which is also a book I strongly recommend you to read if you are interested in the universe. It’s just crazy to think about how tiny we really are compare to the whole universe. But we also have the potential to shape the world. This entry was posted in Uncategorized on August 26, 2016 by Xueyao Cao.